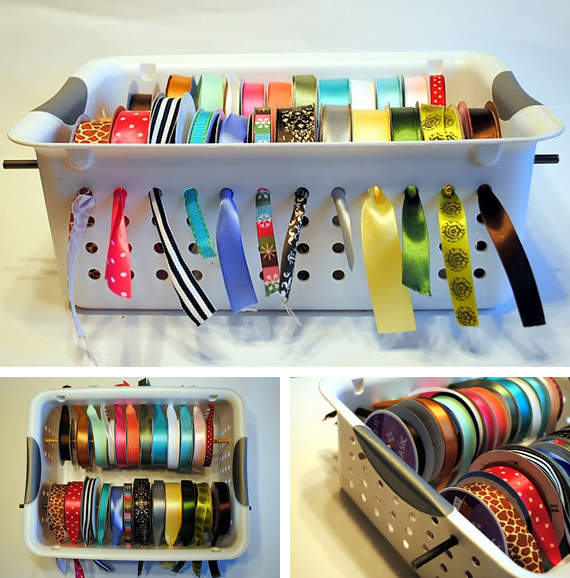 I was checking out the Curbly blog today, and saw this genius idea – a simple plastic basket from your local big-box store makes for the ideal storage container for rolls of ribbon. Simply genius. ← Orange You Gonna Get Married?